On Monday I made a soba bowl with seasoned dashi, watercress, avocado, and sesame seeds. 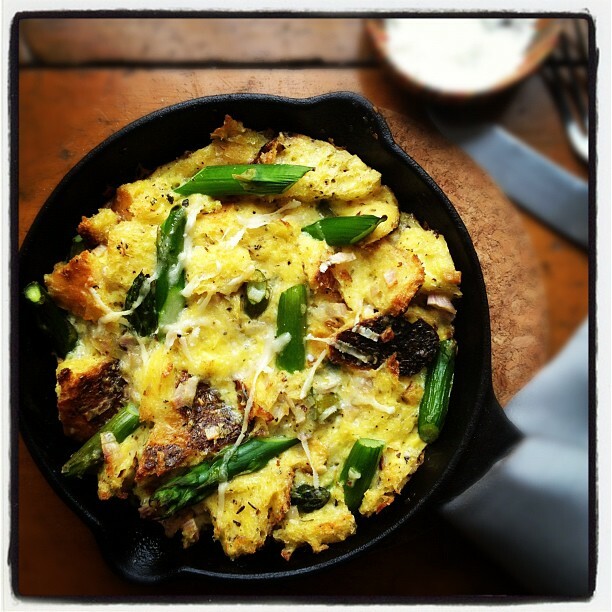 On Wednesday I tried something I’m calling a “fri-strata,” a hybrid of fritatta and strata, with asparagus, shallots, and parmesan. I loved this. 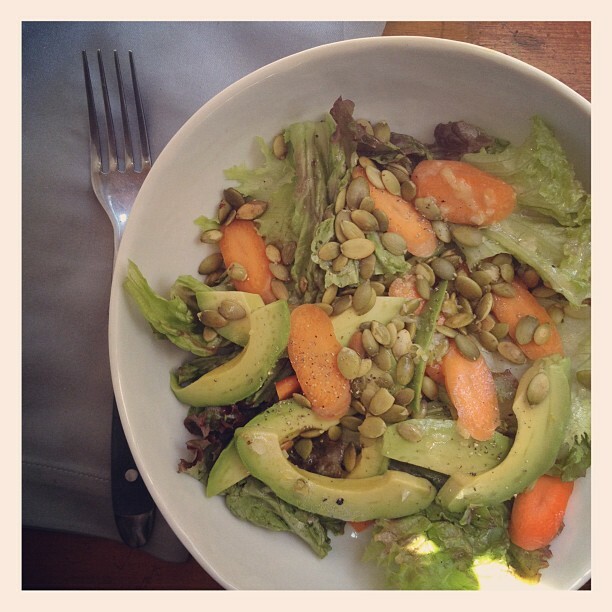 And on Friday, it was time for a Big Salad: this one has red leaf, pepitas, carrots, avocado, and a lemony vinaigrette. Lemon bars are my favorite. I’m a bit lucky in that I work in a school where we get to eat for free and they have these lemon bars that are just amazing- after which, I think- I really have to make these. And then don’t. Thanks for the reminder!